$1.99 to $120.99 & FREE Shipping on orders over $59 $35. A highly flexible, environmentally friendly, gas tubing that is BPA and PVC Free! 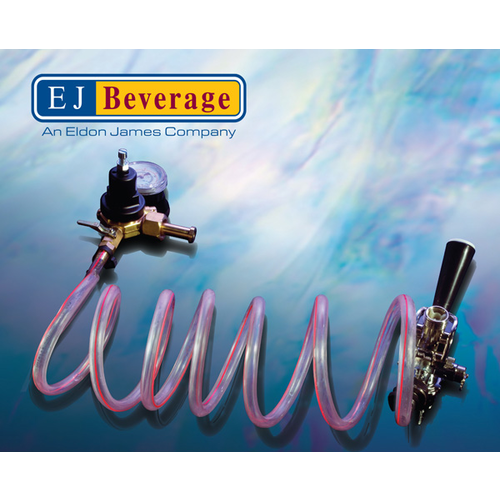 Ultra-Barrier(TM) Gas tubing from EJ Beverage is an excellent alternative to PVC. It is constructed of a unique compound that is PVC Free and BPA Free; it contains no DEHP phthalates or other plasticizers. 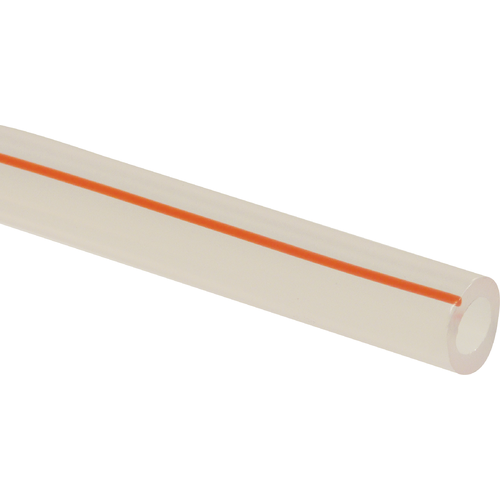 This tubing is clear with a red stripe so you can identify it as a low pressure gas line. It does not emit dioxins and has extremely low extractables/leachables. This amazing tubing remains flexible at lower temps, has ultra-low permeability, and superior barrier properties. If you want a tubing that won't leach large amounts of chemicals, this is it! BEST ANSWER: Hello Benson - The OD of TUB411 is 9/16" as printed on the tubing. Replaced my old standard gas lines with these a while ago; the transfer was easy however the ID on either my old lines or these were slightly off. The lines I replaced were marked 5/16 however were apparently smaller than these since these did not fit as tightly to the same fittings. Using simple clamps and tightening them down worked well and I have not had any gas leaks however the soft material of these tubes make it easy for the clamps to dig into the outside of the tube. All and all very happy with these tubes, just wish I'd had a caliper handy to measure the old ones vs. new ones.